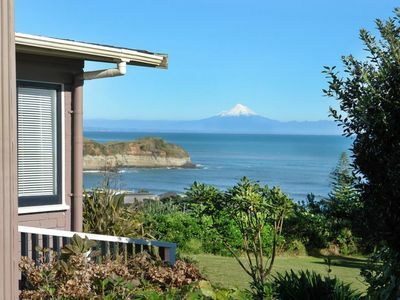 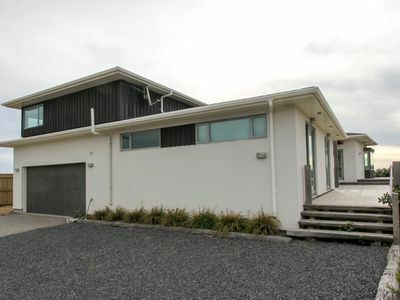 Positioned to capture stunning ocean vistas, Pretty on Paku is a 3 bedroom 2 bathroom Tairua holiday home. 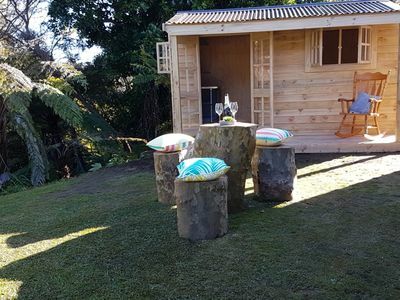 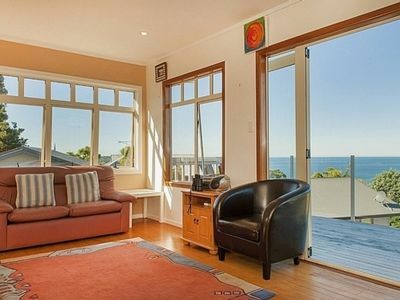 This well presented, homely haven is just the ticket for a cruisy Coromandel getaway! 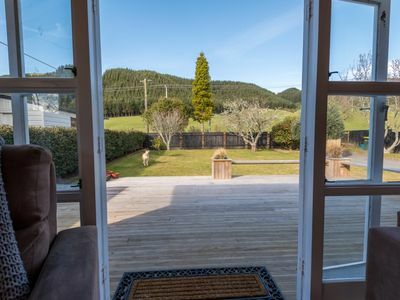 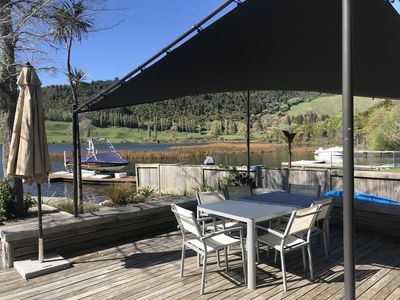 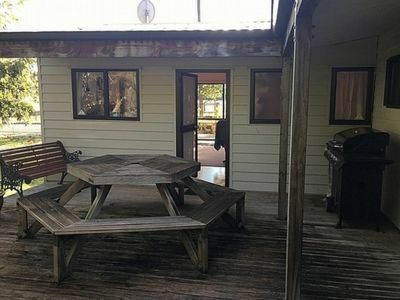 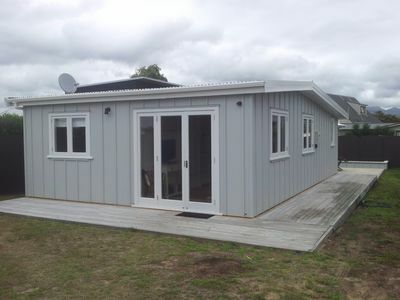 This 2 storey Tairua holiday home includes bright open plan living upstairs, with gorgeous views to the sea - take in the scenery from the comfort of the sofa, or unwind on the deck when the weather is warmer... 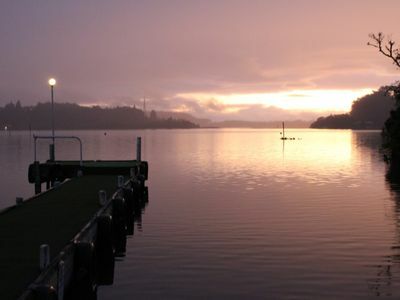 This is a brilliant spot to chill out and watch the boats go by! 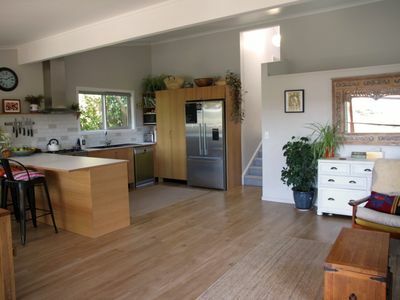 Upstairs at this Tairua accommodation, bedroom 1 has a double bed. 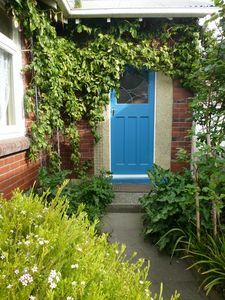 Downstairs, bedroom 2 also has a double bed, while bedroom 3 has a double bed plus 2 singles. 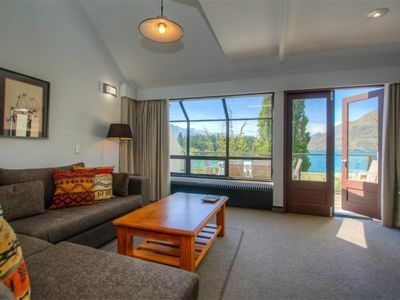 To complete your easy group set up, there is a bathroom on each floor... 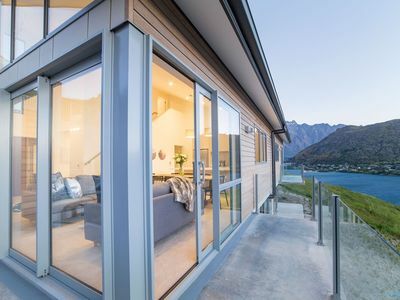 The downstairs bedrooms open onto another great deck area - find your favourite vantage point to gaze at the views. 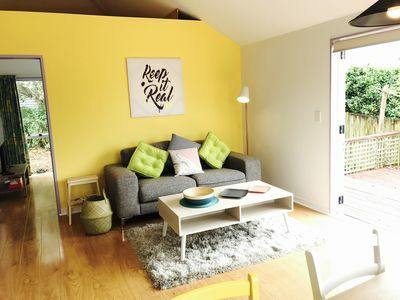 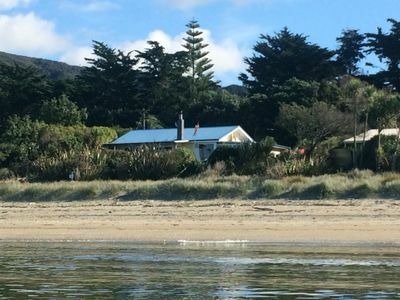 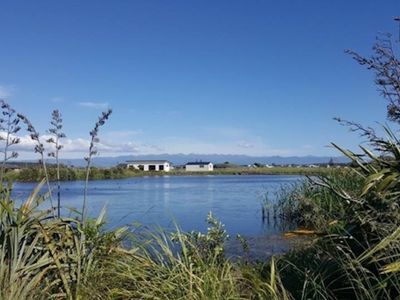 Pretty on Paku has you covered for a fantastic beach stay! 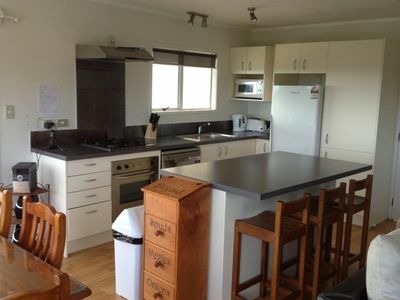 Minimum nights, cleaning costs, a service fee and other special conditions may apply. 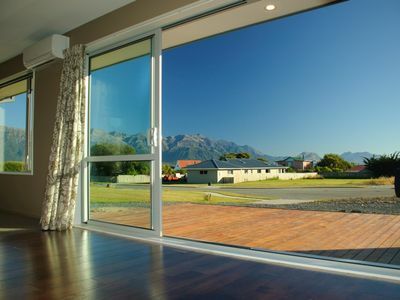 Visit the Bachcare website to get an instant and accurate quote for your stay. 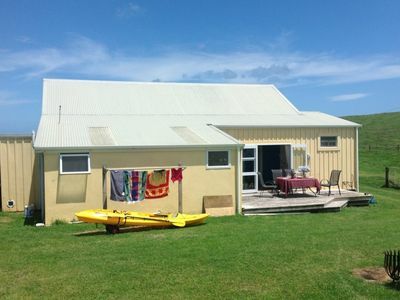 Farview Bach - Rural, beach, river and fishing! 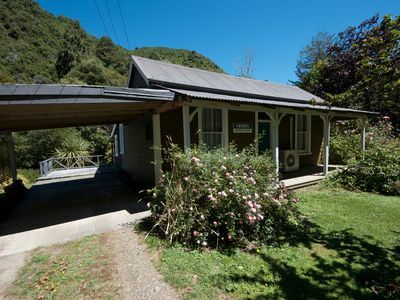 Charming older style cottage . 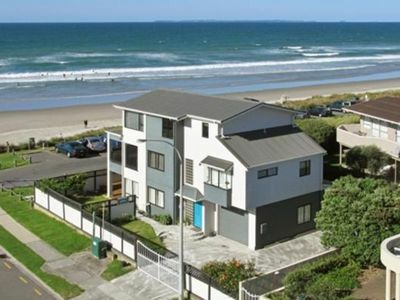 Close to beach andamp; shops, newly refurbished.